This is the newly issue Afghanistan Campaign medal. 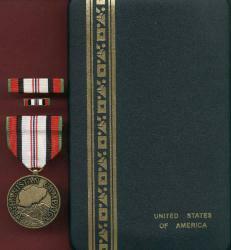 Full size medal in case with ribbon bar and lapel in. Scan shows the medal in the large size case. I also have this in the smaller case if prefered.